This case study is part of work carried out by ENN to document nutrition-sensitive and multi-sectoral programme experiences in several countries, with a focus on the sub-national level. By documenting the experience of different stakeholders involved in multi-sectoral nutrition programming at sub-national and implementation levels, important lessons can be learned to help shape future approaches and practice. 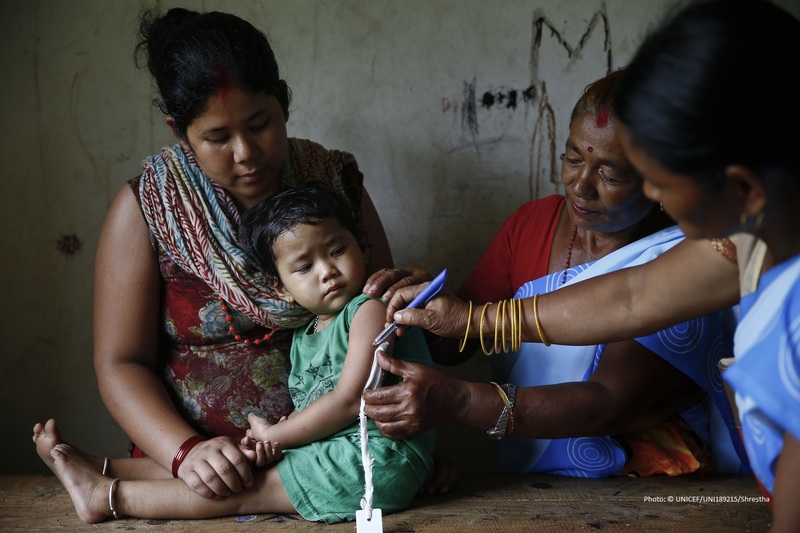 This case study focuses on two districts in Nepal: Jumla and Kapilvastu and examines the implementation of the Multi-Sectoral Nutrition Plan I, in detail. The report Multi-sector programming at the sub-national level: A case study in Kapilvastu and Jumla districts in Nepal – one of three countries featured in a series of ENN case studies on multi-sectoral programming at the decentralised level – was undertaken at a time when local-level elections in Nepal had just been completed in both districts and the representatives had taken office. Both Jumla and Kapilvastu districts were pilot districts in Nepal’s MSNP I – with the programme in place from 2013. Alongside this case study, a video with ENN’s Dr Charulatha Banerjee has been created, which captures the voices of those who implement this programme in Kapilvastu – the opportunities and challenges that this programme presents – and how the sectors collaborate to make it work on the ground. The case study focuses on two districts in Nepal: Jumla and Kapilvastu. It examines in detail the implementation of the Multi-Sectoral Nutrition Plan I (MSNP I). This video accompanies the report Multi-sector programmes at the sub-national level: A case study in Kapilvastu and Jumla districts in Nepal and captures the voices of those who implement this programme in Kapilvastu, the opportunities and challenges that this programme presents, and how the sectors collaborate to make it work on the ground. Documentation has often centred around policies, strategies and frameworks nationally and guidance available is still fairly generic and “top down”. 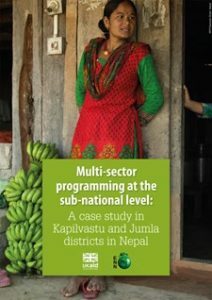 In April 2018, ENN published a series of case studies on multi-sector nutrition programming at the sub-national level as part of its Knowledge Management (KM) work under the DFID funded TAN Programme (supporting learning within the Scaling Up Nutrition Movement). ENN’s primary objective for this work was to construct ‘case studies’ with detailed descriptions at the sub-national and implementation levels. This work comprises three country case studies from selected “high achieving” SUN countries with a strong track record in championing and improving undernutrition – Kenya, Nepal and Senegal. These country pieces are accompanied by a synthesis document that draws out some of the key lessons from these case studies. The three country pieces are based on fieldwork and interviews conducted by ENN’s Regional KM Specialist team in late 2017.